There are few peppers as beautiful, and as awesome, as the fish pepper. It is said to be from the Caribbean and got its name from from the fact that it was used in white sauce on fish(using the fruit when white). 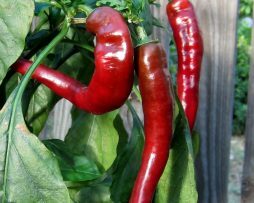 The fish pepper fruit has an amazing ripening cycle as it makes its way to being fully red. At maturity the fruit get to be around 4-5cms long. Not only are the fruit stunning but the foliage is variegated white and green making it even more intriguing. 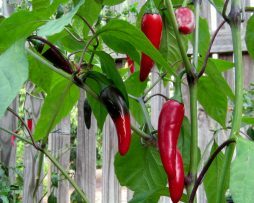 It’s believed that the fish pepper is a hybrid of the Serrano and the cayenne pepper. A beautifully flavoured Chilli Pepper of unknown origin. 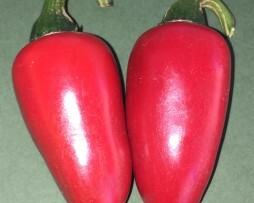 It is similar to a cayenne in size and shape but has a much sweeter flavour. This is a perfect all rounder. Great chopped up on pizza or in a sizzling salsa. 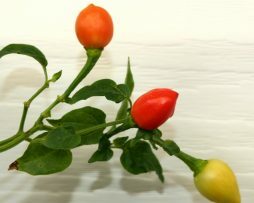 If you love super high yielding chilli plants then you will love this one. 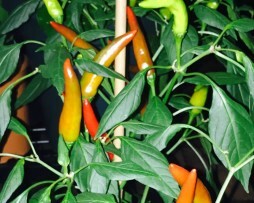 This chilli pepper plant will produce masses of sweet versatile chillies for years. The Hungarian Black is a mild Jalapeno type pepper. Originating from Hungary it is used widely in everyday cooking and salads. It is also very ornamental having green and purple mottled leaves. 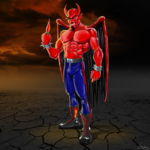 The jet black chillies grow to about 6-7 cm long and gradually turn a deep ruby red from the bottom up. A great producer, juicy and sweet with a touch of heat. The Jalapeno really needs no introduction. It is a fantastic all rounder that can be eaten red or green. Very versatile and delicious with their thick juicy flesh that is ultra sweet when ripe. A must have in your chilli pepper arsenal. Everybody knows the Jalapeno but who’s heard of an ORANGE one. 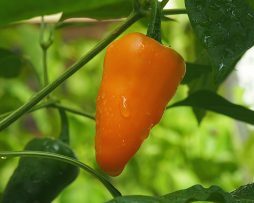 Well yes it is true there is an orange variety that tastes better than any other Jalapeno we have tried. Flavour wise its sweet and juicy with a definite orange citrus taste that tingles on the taste buds. This one has no heat until you hit the seeds/placenta but even then its very mild making this perfect for adding to your favourite salads. A must have for your rare chilli collection. The Jamaican Red is a great chilli! Its flattened shape looks great on its small, compact bush and you may display it proudly on your balcony. As a bonus, it tastes great too! It is juicy and has good heat. You definitely won’t be disappointed in this one! No prizes for guessing where these chillies originate from! 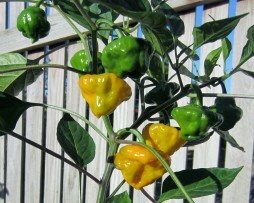 Everything that has been said about the Jamaican Red can also be said for the Jamaican Yellow. Looks great. Tastes great. Is great! It’s probably not as hot as the Red and makes great sauces and marinades. 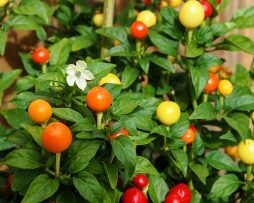 This is a great little plant that has lots of little round pods ranging from white through to red and most colours in between! It’s mainly ornamental and is great in a pot on your balcony as it only grows to about 30 cm high. 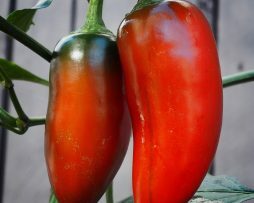 The Jimmy Nardello, or The Jimmy Nardello Sweet Italian Frying Pepper, now its official name, is listed in the US Ark of Taste at Slow Food, the vegetable version of the endangered species list. Giuseppe Nardiello and his wife, Angela set sail from the port of Naples in 1887 for a new life in America, Angela carried her one-year-old daughter Anna and a handful of the pepper seeds with them. They settled in Naugatuck, Connecticut, where they raised the peppers, and eleven children. The fourth one was a son named Jimmy and the legend grew from there. Frying peppers are something that has yet to be discovered properly, in Australia at least. They taste brilliant and you can put them with anything! 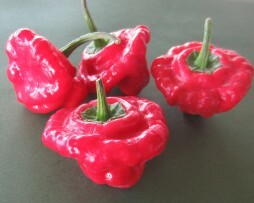 We now have three of the world’s best “frying peppers” available to you. Just put frying peppers in the search bar! It’s a giant jalapeño! This one would certainly make whopper poppers. Also referred to as the ‘Numex Jalmundo’ this variety was developed at the New Mexico State University, (which creates all “NuMex” varieties of plants). The fruit have a smooth skin and very thick flesh, which makes them easier to stuff. 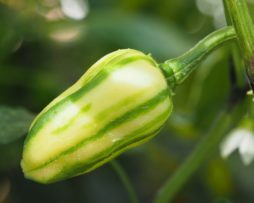 They grow to around 6-7cm long and are hotter and sweeter than other Jalapeno varieties we have tried. We think everyone should grow a variety of Jalapeno as they are so versatile in the kitchen and just down right delicious. 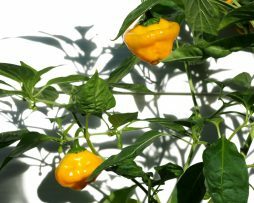 Most Numex Varieties have been bred to be more prolific and disease resistant so it makes sense to put this one on your grow list.